The Large Synoptic Survey Telescope (LSST) will be located at Cerro Pachon, Chile. Credit: LSST Project Office. The telescope will have a primary mirror, a convex secondary mirror and a tertiary mirror. Credit: Howard Lester / LSST. LSST will see its first light in 2019 and will commence full operations in 2022. Credit: Todd Mason, Mason Productions Inc / LSST Corporation. 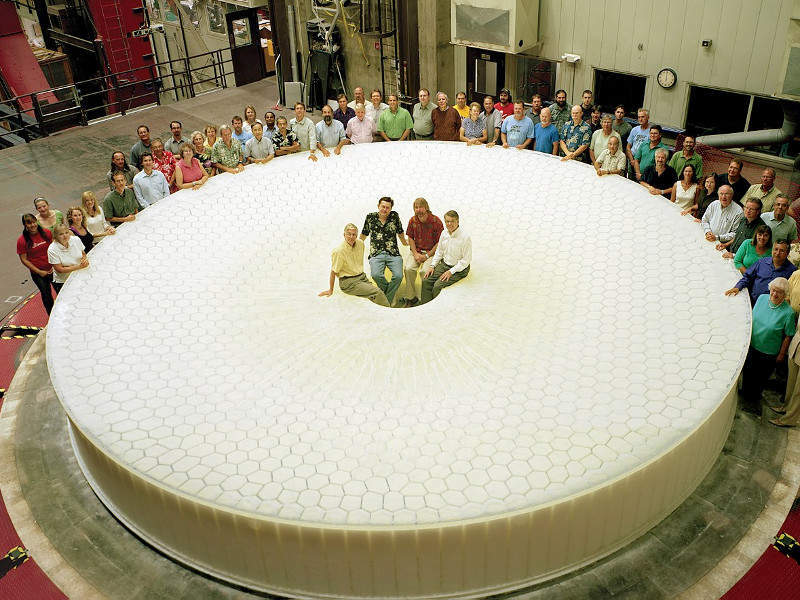 Large Synoptic Survey Telescope (LSST) is a next-generation wide-field astronomical survey telescope being built by LSST Corporation (LSSTC) in collaboration with Association of Universities for Research in Astronomy (AURA) and National Science Foundation (NSF). The telescope will be located on the Cerro Pachón ridge in the Andes Mountains foothills in north-central Chile. The main telescope will be placed on the highest and largest peak, which provides the best view of the sky. 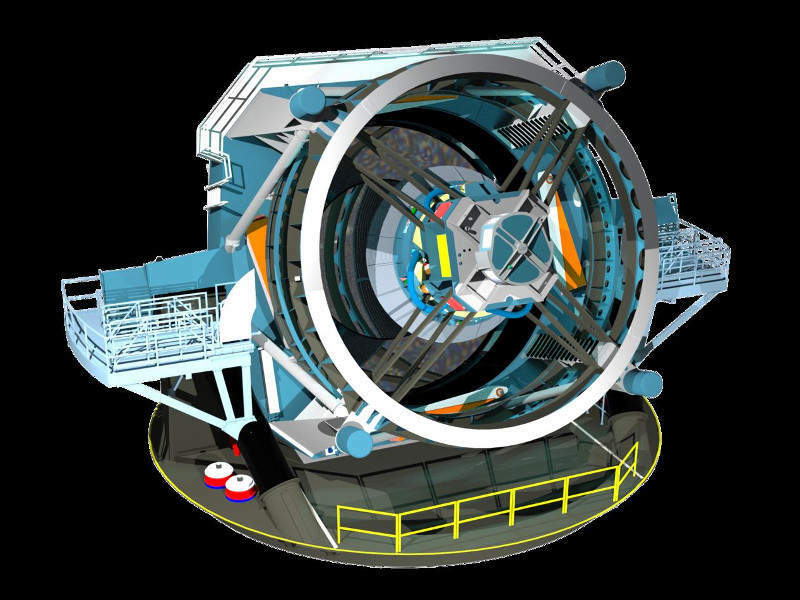 The LSST aims to conduct a ten-year survey of the sky, which will deliver a 200 petabyte set of images and data products. Estimated to cost $473m, the LSST will see the first light in 2019 and will become fully operational in 2022. The telescope is being developed by LSSTC in partnership with NSF, AURA, the Department of Energy (DOE), and SLAC National Accelerator Laboratory. Founded in 2003, LSSTC is a non-profit partnership between public and private organisations. The NSF signed an agreement to support the construction of the LSST in August 2014. It is responsible for the construction of the telescope, site facility, data management system, and education and public outreach (EPO) components of the LSST. It will also carry out project management and system engineering. The casting of dual-surface primary / tertiary mirror of the telescope began in 2008 and its final polish was completed in February 2015. The on-site construction started with the traditional first stone-laying ceremony held in April 2015. In January 2015, the LSST project received funding approval from the DOE for the development of the LSST’s 3,200-megapixel digital camera. The DOE approved the start of construction for the camera in a 2,000ft², two-storey clean room at SLAC in August 2015. The telescope will help astronomers better understand mysterious dark matter and dark energy, hazardous asteroids and remote solar system, transient optical sky, as well as formation and structure of the Milky Way. The LSST will be an observing facility and will include a telescope, camera, and data management system. It will survey the complete sky in three nights and will collect tens of petabytes of data and images of the sky, which will be used for identifying near-earth asteroids. The telescope, with a wide field of view, will feature a three-mirror design and its 3.2 giga-pixel camera will have more than three billion pixels of solid-state detectors. It will use software for data management, as it needs to process more than 30 terabytes of data. The LSST summit facility will be built on the Cerro Pachón ridge, which is 100km by road from the LSST base facility. It will accommodate a telescope pier, a lower enclosure that supports the rotating dome, a 3,000m² service and operations building, and a separate enclosure for the calibration telescope. The facility will also have an 80t platform lift to carry mirrors and a camera during installation and maintenance. It will also include dedicated maintenance areas, while the on-site service building will house a dedicated cleaning and coating area for mirrors. The telescope will mainly integrate three aspheric mirrors, including an 8.4m primary mirror (M1), a 3.4m convex secondary mirror (M2), and a 5m tertiary mirror (M3). The M1 and M3 mirrors were fabricated from a single piece of Ohara E6 low expansion glass, while the M2 is a convex mirror made of 100mm-thick low expansion glass. To be located after M3, the camera will integrate a focal plane, three silica lenses, and one filter. 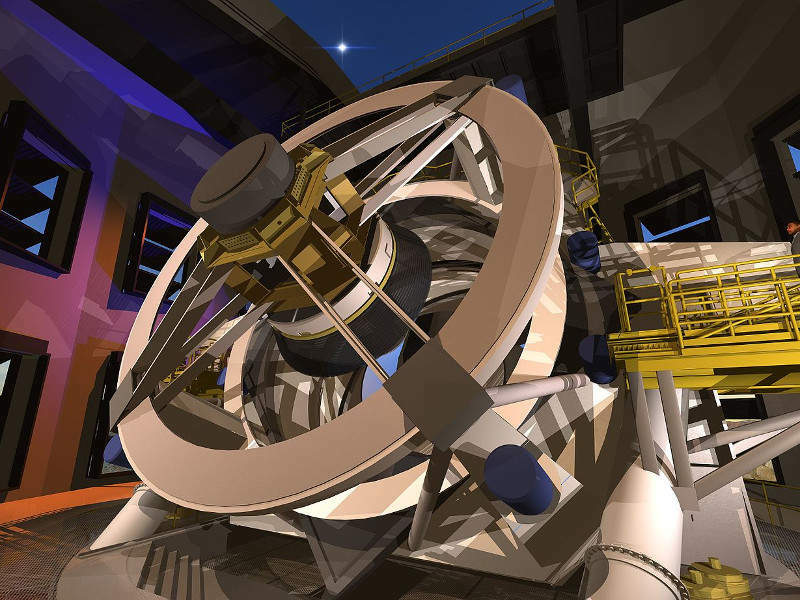 The Large Synoptic Survey Telescope project is being financed by the NSF, DOE, and private funding raised by LSSTC. The total funding for the project is capped at $473m, of which $168m will be financed by the DOE to support the fabrication of the LSST camera. The project also received donations of $20m and $10m from Charles Simonyi and Bill Gates respectively. An estimated 10% of the full LSST data will be accessible to the public through the LSST EPO online portal. The portal will feature EPO Skyviewer, which will present the users with a colour image of the night sky observed by the telescope. It will also enable formal educators to access LSST data through Jupyter Notebook.